Kingman Historic Theatre: Grand Re-Opening: Debuting our new digital system this weekend with X-Men: Days of Future Past! Grand Re-Opening: Debuting our new digital system this weekend with X-Men: Days of Future Past! This weekend the Kingman Historic Theatre will be debuting our new digital system with three showings of X-Men: Days of Future Past at 7:30 P.M. on Friday (June 6), Saturday (June 7), and Sunday (June 8). 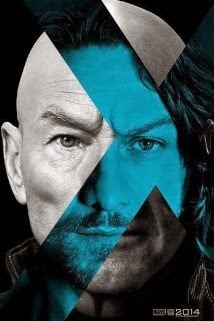 This movie is rated PG-13 and stars Hugh Jackman, Patrick Stewart, and Ian McKellen. Check out the X-Men: Days of Future Past trailer.